It's been quite a hectic first half of 2016. What with back to back projects, traveling across the city everyday for one commitment after another and more. Apart from my short travel break in May, I haven't really got much time to unwind. So, when the super sweet folks at Spa La Vie by L'OCCITANE invited me for an experiential at their sprawling 8000 sqft wellness sanctuary, I couldn't say no. 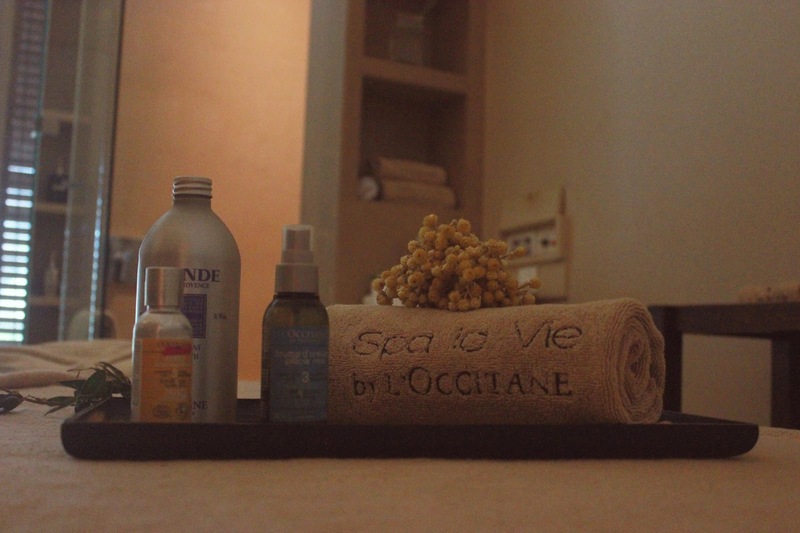 Spa La Vie is an extension of the popular French brand L'occitane. Founded in 1976, L'OCCITANE is well known for it's aromatic products, that are inspired by Provençal beauty secrets. 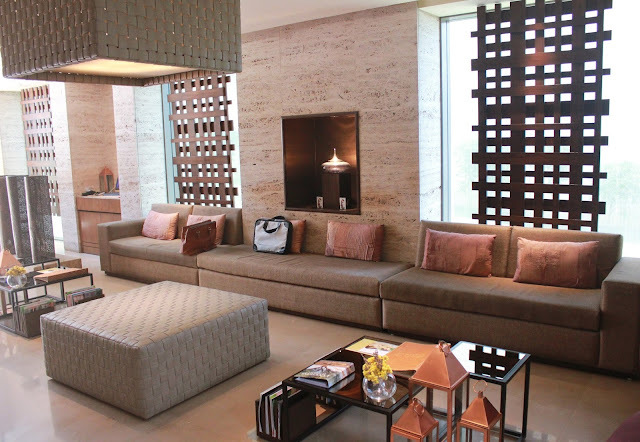 Despite being situated right in the middle of all the hustle and bustle at Delisle Road (South Mumbai), the moment you enter the spa, you are transported to a world of serenity and peace. So, does the Spa La Vie meet all our expectations? Read on to know our experience. I reached the venue on time (as per our scheduled appointment) and we were welcomed by the supportive and extremely warm front desk staff. After a quick chat, one of the staff members asked me to fill a form, which required details of my daily lifestyle, area of pain (if any), the kind of massage I am looking for among others. While I continued to fill up the form, I was introduced to my therapist, who then got me a welcome drink - a delicious, strong concoction of honey, mint, ginger and lemon (honestly, it was perfect for the cold that I was then suffering from). After going through all the information, I was asked to take a pick from the Revitalising or Relaxing Aromachologie Massage. The main difference between the two were the oil blends and technique. I opted for the former, as the technique and oil combination sounded like just what my body needs. I switched from my ankle strap heels and wore the pair of Oshos that the therapist got for me, as began walking towards the experiential rooms. Spa La Vie has multiple rooms dedicated to various treatments, ranging from the Individual Spa Room, VIP Couple Massage Rooms, Facial room and a Hammam room specially dedicated to exclusive wet treatments that are unique to this spa. The Spa room for an individual includes a bath tub (can be an add-on) and shower cubicle with L'Occitane products. It also has a hair dryer, a two-door wardrobe to keep your belongings (with a special box for your valuables) and a small section of the room is reserved for the welcome treatment. After getting a glimpse of all the rooms, the therapist and I proceeded towards the Spa room reserved for me. As soon as you enter the experiential room, the therapist explains the entire treatment in detail, along with introducing the products used for the massage. You are then handed a robe and disposable undergarments for the treatment. Once you've changed, the therapist starts off with a 5 minute welcome treatment, where your legs are nicely cleaned. After that, the therapist kicks off the massage by asking you to take a deep breathe and smell the relaxing oil, which is so good, that it is sure to put you off to sleep. Gentle Swedish effleurages and Balinese movements follow, as we enter a blissful world, free of stress and fatigue for 60 mins, where no mails or phone calls can disturb you. Technique: Swedish effleurages, deep pressure Lomi Lomi and Balinese movements. The therapist first starts off by massaging the right side of your body, followed by the left and finally, there is a head massage. The final step of the treatment involved a hot towel that is gently place on your back, hands and legs to release all the fatigue from your body. 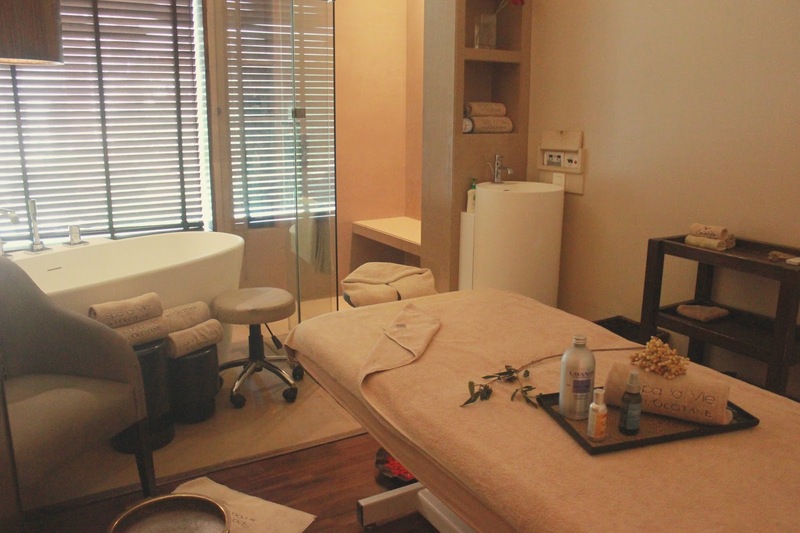 Overall Experience: The therapists at Spa La Vie are well trained and very prompt. They take the efforts to understand your lifestyle and ensure that you get the best results from the treatment offered. Plus, what I really liked about my therapist was the fact that she didn't rush through the whole thing or tried to finish explaining the treatment in haste. Every minute detail was taken into consideration and discussed, before starting off the treatment. Since I had a bad cold, the therapist was sweet enough to stop and quickly get me a bottle of water, tissues whenever I sneezed. The techniques used in this treatment were perfect for anyone who has a stiff neck or shoulders, tired legs or hands that have suffered enough with all the typing and tweeting throughout the week. After the amazing massage, I opted to take a bath (since I had a meeting scheduled that evening). 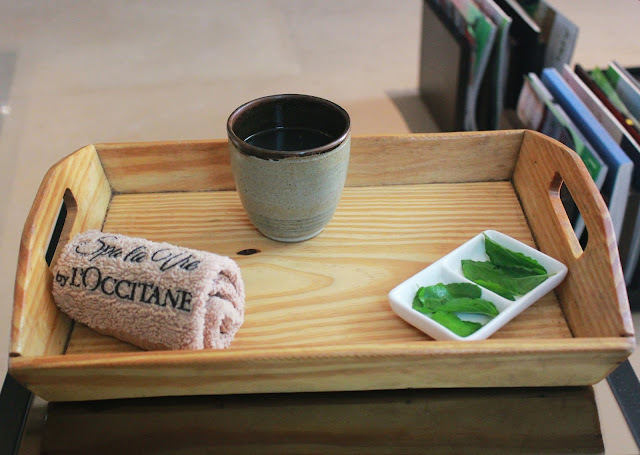 Spa La Vie also gets brownie points for stocking up on L'OCCITANE products everywhere. I swear by their shower gels and it was a delight to also sample their hair care products. They also have a counter right next to the foot reflexology area, where you can buy some of their popular products. They have bath, face and hair towels in multiple sizes to suit your needs. All the spa rooms are well maintained. 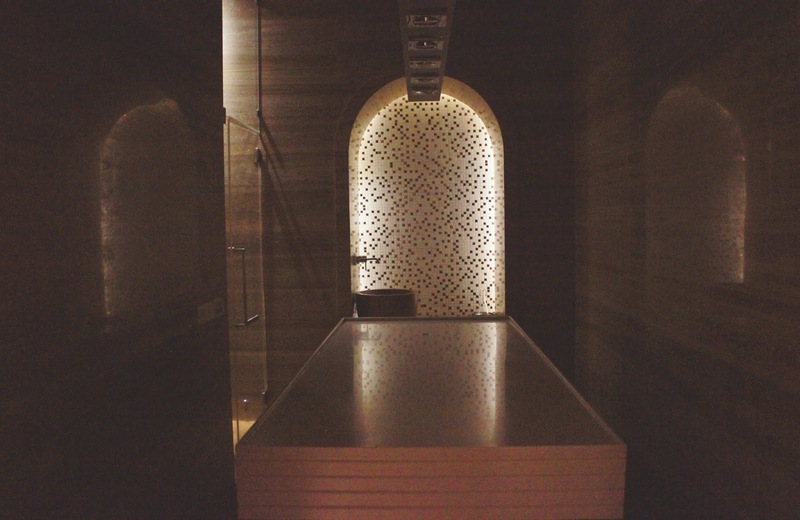 Hygiene is of utmost importance at a spa and the folks at Spa La Vie leave no room for doubt in this department. A quick hot shower later, I dried my hair and changed, only to feel ten times more lighter and calmer than I was earlier in the day. While changing from the Oshos to my heels again, the super sweet therapist got me one more cup of the herbal tea, as a remedy to cure my cold and sore throat. Full marks to Spa La Vie for their courteous, prompt and hard working staff as well as amazing hospitality. Highly recommended for the variety of treatments, excellent ambience, great hospitality and of course, a blissful overall experience! Know more about the Spa La Vie by L'OCCITANE here.